Four persons from Kodagu (Coorg) were in the reckoning for this year’s ‘Coorg Person of the Year’ title. Of the four, three were familiar faces, known across India. The three were Indian cricketer Robin Uthappa, Chennai-based squash player Joshna Chinnappa, and Indian tennis player Rohan Bopanna. However, www.coorgtourisminfo.com, Kodagu’s first news portal, picked the fourth one, a low-key writer and researcher, who has spent the last 10 years,documenting the rich cultural and architectural heritage of Kodagu, for the honour. 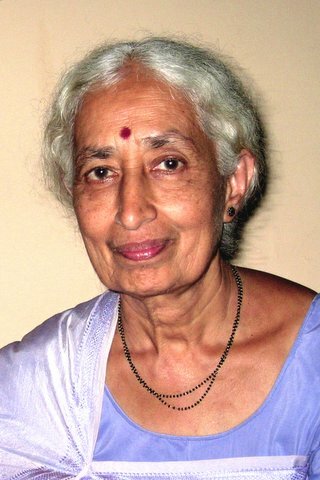 Meet Dr Boverianda Nanjamma Chinnappa, a Visiting Fellow of Cambridge University (1973-74), on whom the Mangalore University conferred the Honorary Doctorate Degree (D.Litt) at the last convocation for her contribution to the fields of statistics and education. Dr Nanjamma and her husband Chinnappa, a Master’s degree holder in engineering from the United States, worked in Canada before they moved to their native Kodagu after retirement. Their first project was to translate into English “Pattole Palame”, a book on Kodava culture, folks songs and traditions, written by their common grandfather, Nadikerianda Chinnappa in the Kodava language and first published in 1924. “Pattole Palama”, literally meaning silken lore, was compiled by Nadikerianda Chinnappa, a police officer in the early 1920s. The book is known to be one of the earliest and most extensive collections of folklore of a community in any Indian language. He had also started translating the folklore book into English, but died in 1931 before he could complete it. It took Dr Nanjamma and her husband nearly eight years to complete the translation of the book which runs into 700-plus pages. After completion of the translation project, they chalked out several other Kodagu projects. Their latest ongoing project is documenting the Ain-manes or ancestral homes spread across Kodagu. Ain-manes are the ancestral homes of the original inhabitants of Kodagu. They are an integral part of the district’s architectural and cultural heritage. The couple has visited more than 600 ain-manes so far. Besides, they have collected information on more than 950 ain-manes which either do not exist now or have been re-built on modern lines, and hence lost their originality. The Chinnappas have taken around 1,200 photographs of ain-manes and have prepared a detailed location map of each house. They propose to bring out a book and later develop a website listing all the details of the ancestral houses, with provision for free downloads. The Chinnappas say they may take one more year to complete their project. Once they complete the Ain-mane project, the couple propose to take up compilation of a lexicon of the Kodava language.